As part of cleaning out my beauty drawer, I decided to try out this WEI Beauty Discovery Mask kit that I have received earlier this year from a Limited Edition Birchbox!! Some of the masks I wanted to immediately try out while the last one I felt that I better do a test patch before applying the mask all over my face!! 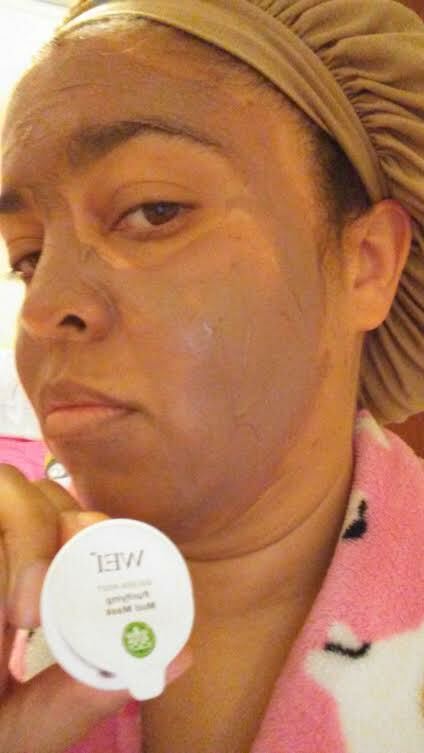 I tried and loved this cult favorite, WEI Golden Root Purifying Mud Mask, on my dry, skin which also suffered some acne/impurities as well!! I got two applications from this sample pod...the first time, I left it on my face for 10 mins and after rinsing my skin felt clear, smooth, but not "overdried" and second time, I used it as a "blemish treatment" and left it overnight on my face! In the morning, my skin felt very clear without feeling "overdried"!! 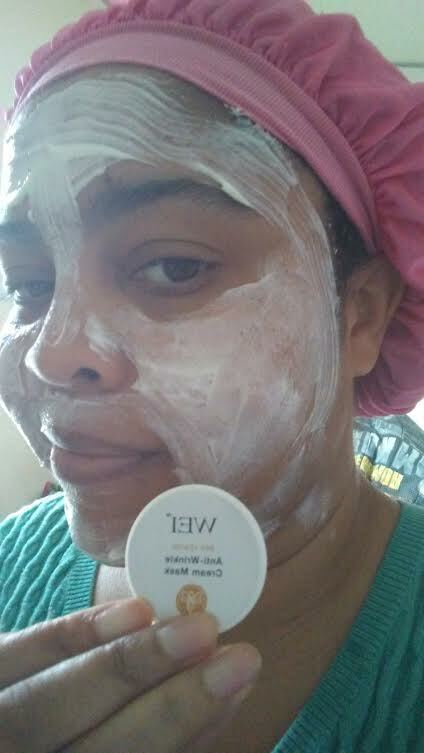 This mud mask has become my favorite, too! I have tried WEI Brown Sugar Ready Glow Exfoliating Mask and after getting two applications, I loved using as a mask first then using it as facial scrub!! 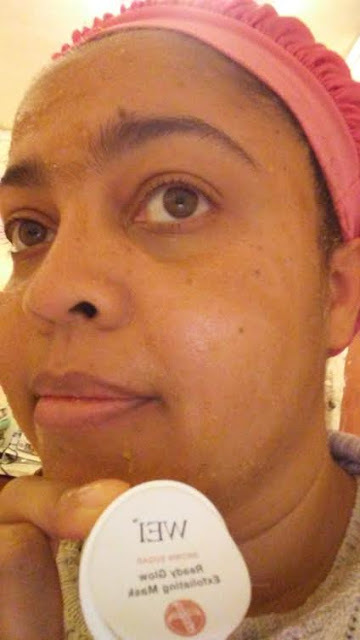 My face felt polished and conditioned but with most brown sugar scrubs, it felt a little too coarse on my skin so I would only use it twice a week max!! The final mask in this discovery trio, WEI Bee Venom Anti-Wrinkle Cream Mask, which I did a sample patch FIRST to make sure that I that I won't react to the bee ingredient before trying it on my entire face and neck areas!! I only experience a "cool gentle tingle" on my face although the box said it would be "warm, tingle"!! After 10 mins and washing it off, my skin felt toner and conditioned after this mask!! I think I would need a regular jar to fully test about tightening my skin areas!! 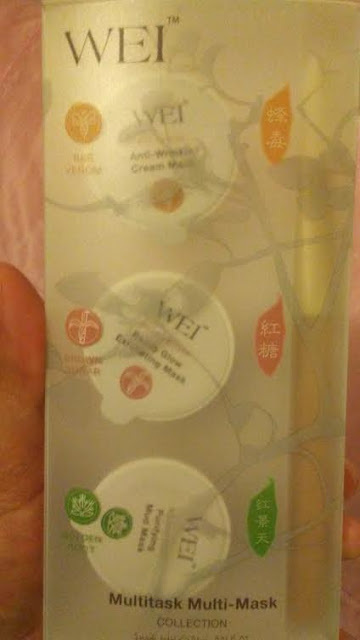 So far I have enjoyed testing out this mask discovery kit by WEI via Birchbox and highly recommend someone who wants to try out first before investing in the regular size versions of each! 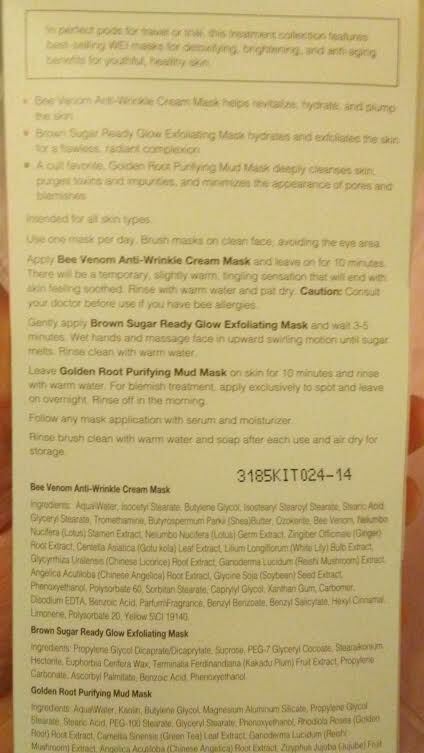 Thanks for reviewing these masks. 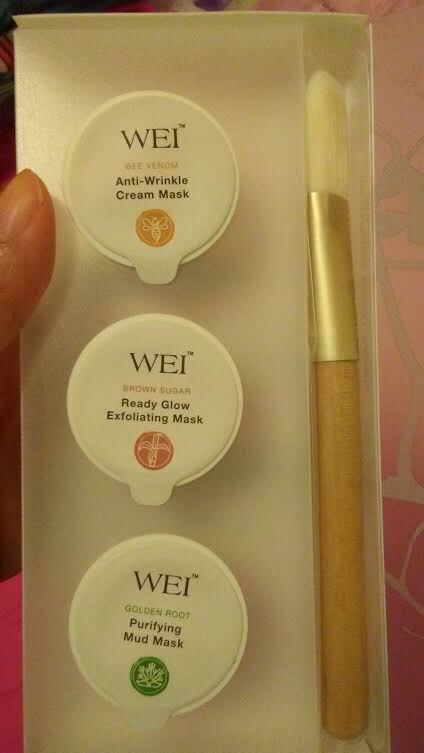 I've heard a lot about the brand, but was nervous about trying the masks...even though I love masks. Thank you for being brave and road testing them!!! Thank you, Blondie!! Although I am not allergic to bees, it was wise to do a patch test just to be safe side! And I would love more of the purify mud mask in the future!